All our facilities are under one roof at our practice in Somerton, Somerset. Our surgery offers you a fully fledged, fully equipped modern veterinary practice where your pet will be in safe hands. Our staff are experienced and caring animal lovers, our vets are dedicated and compassionate, and we all keep up to date with a programme of professional development. 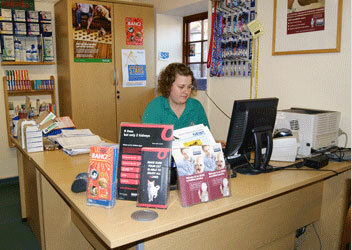 Our premises are kept extremely clean to ensure the standards of care we offer your pet are second to none. We run diagnostic tests such as blood tests or x rays, and provide secure comfortable hospitalisation facilities at all of our practices. We will happily show you around should you wish for a tour! We pride ourselves on the level of care and commitment we give to you and your pets, our patients. We know you have a choice - choose us and you will not be disappointed.